Last month, you the people of the voting public selected Boats Botes, an employee in South Africa's gold mining industry, as your selection for the 2017 Name of the Year. It was, all things considered, a fine choice. 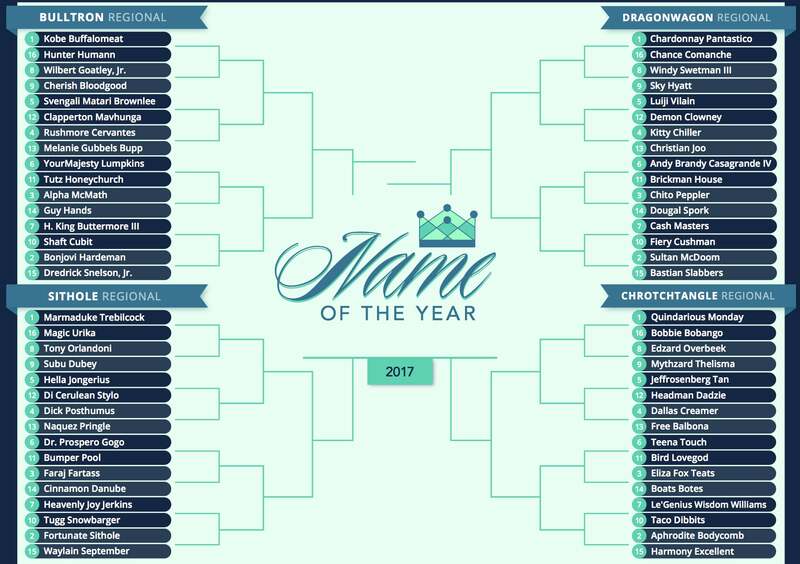 All 64 of the names that make it into our tournament each year are by virtue of their inclusion exciting enough to win the title. 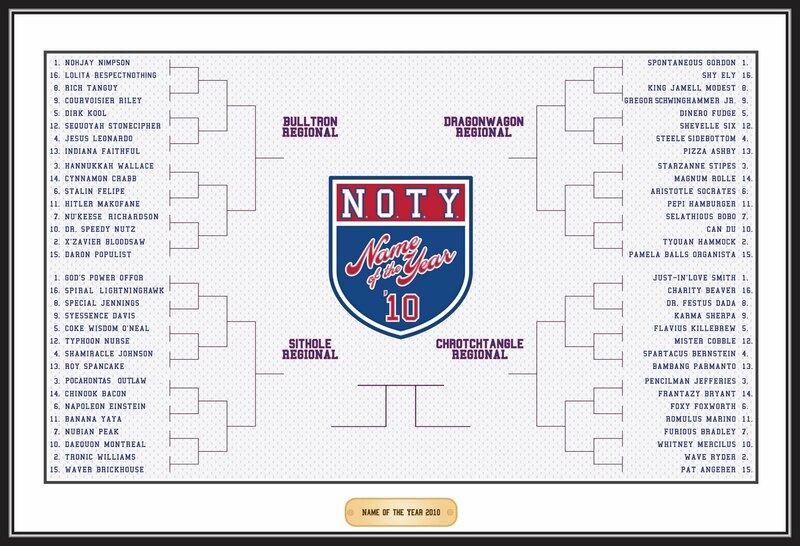 The NOTY field represents the top 1% as far as names go, so even if Mr. Botes was not our personal High Committee choice, the quality of his handle is still far superior to most others in the world. 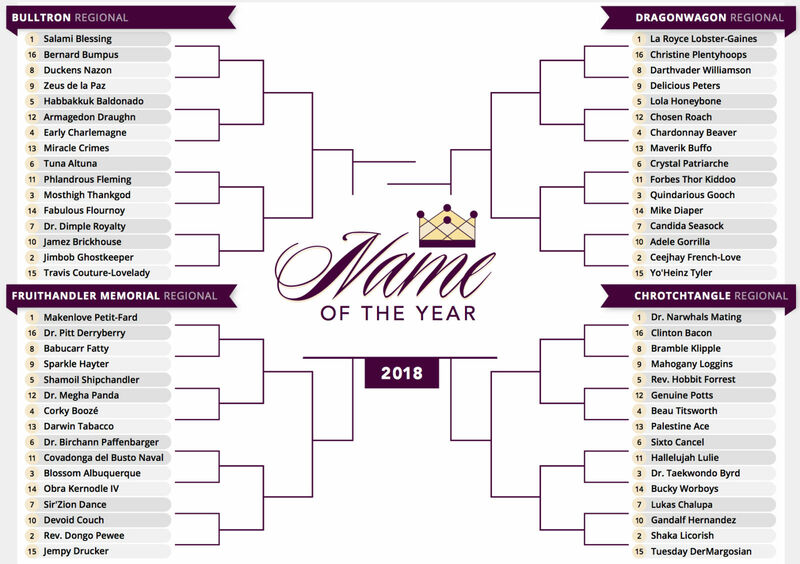 That 1% area, however, has a lot of area to explore, and we don't think it's right to cast aside some names that may have been overlooked due to the pecularities of our bracket format or the whims of our voters. You as a group, for example, put 12-seed Headman Dadzie past five-seed Jeffrosenberg Tan in the Chrotchtangle Regional's first round, and I have no idea why you did that. Whatever your reasoning was, you decided that Mr. Tan's stay in the tournament was to be as brief as possible. 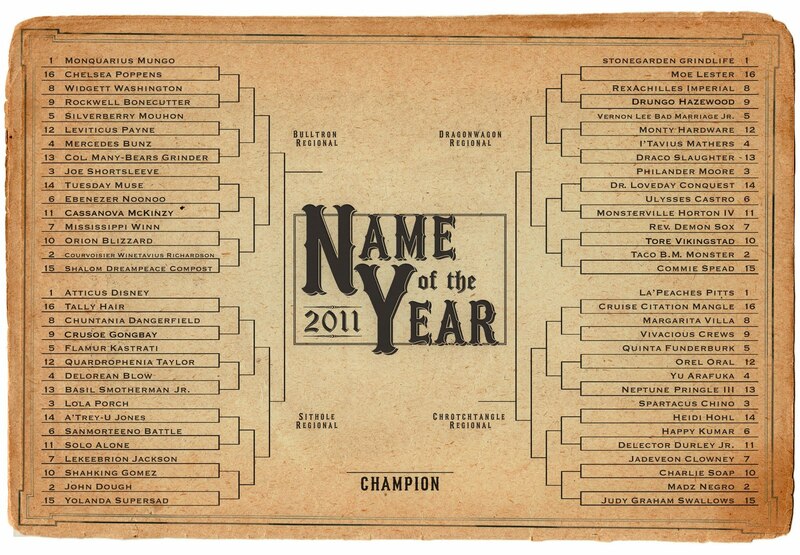 To the group that organizes this annual showdown, many of these names deserve to be honored in a more thorough manner than what our bracket provides, and the High Committee vote is the method we use to show a little more love for the names that particularly tickled us this year. It's our way of adding our two cents to your sea of opinions. In recent years, we have shirked our High Committee duty and have not determined our own champion adjacent to that of The People. In 2017, though, with such a contentious winner taking the title, we weren't about to let slip our chance to have our say. We each filled out a bracket and awarded 25 points to our respective winners, 15 points to our runners up, 10 points for additional Final Four contenders, seven points for the remaining members of our Elite Eight, and five points for the Sweet Sixteen. Ultimately, we the High Committee went for the All-American option. We selected Kobe Buffalomeat, incoming Illinois State University offensive lineman, as our Name of the Year. He will live alongside the 2017 People's Choice -- Mr. Botes -- in our annals. Don't think of this as our way of protesting the results. As I said up top, each name in the bracket is special. It just may be that some are more special than others, and we hope that our point of view gives you something fresh to think about as you await NOTY 2018 -- which will be powered, as always, by your wonderful suggestions. Please keep us in mind if you ever witness an incredible moniker in the wild, and don't forget to follow us on Twitter.